The main actors of the national and international ecosystem will meet at the headquarters of the Agencia EFE in Madrid for the presentation of Startup OLÉ 2019, the international event of technological Entrepreneurship that will take place in Salamanca on March 26 until the 28. Next Wednesday 21st of November, the official presentation of the International Entrepreneurship event Startup Olé 2019, will be held in Madrid. The event (Startupole.eu/le-madrid/), will take place at 16:00 at the headquarters of the Agencia EFE in Madrid (Av. de Burgos, 8b, 28036 Madrid) and will reveal the fifth edition of which has already become one of the main events of technological entrepreneurship at European level. Startup Olé 2019 (startupole.eu) an event that brings together in Salamanca the entire European and international entrepreneurial ecosystem, aims to have in this edition 30,000 attendees from 120 countries, 850 startups (technology companies with a high potential for growth) and Innovative SMEs, 500 speakers and more than 250 corporations and investors with a proven investment capacity of more than 50 billion Euros combined. Startup Olé has the support of the European Commission-startup Europe, Central American Integration System (SICA), Salamanca City Council and the University of Salamanca. The goal of this event is to put in contact startups, spin-offs and innovative SMEs with investors, large and medium-sized corporations, accelerators, public administrations, universities and national and international media. The 2018 edition brought together more than 10,000 attendees, 500 startups, more than 150 corporations and institutions, 70 accelerators, more than 20 universities, 30 media members and more than 80 investors with a combined investment portfolio of more than 10 billion Euros. The event also included the visit of His Majesty the King Felipe VI and the President of the Portuguese Republic, Marcelo Rebelo de Sousa. Both leaders wanted to show their support and commitment to entrepreneurship and innovation, pointing out the importance of this event as an economic engine and generation of wealth and employment. In addition, the 2019 edition brings important innovations such as the creation of a vertical (section) of emergencies, specifically dedicated to those technologies that can serve to confront social and humanitarian crises such as the current migratory crisis ( Salvage and maritime rescue, artificial intelligence, cybersecurity, surveillance, etc.). In this edition special emphasis on different verticals will be placed such as energy/sustainability led by InnoEnergy, media led by RTVE impulsa Visión, legal-tech led by the firm Navas & Cusi Abogados and social impact supported by Fundación ONCE. Another novelty will be the organization of exclusive activities for investors, large corporations, specialized media, as well as the organization of a special forum dedicated to municipalities and public administrations/embassies, etc. on which we will be able to develop common strategies to support entrepreneurship and the generation of wealth and employment. sponsors and collaborators of this event: Agencia EFE, European Commission-Startup Europe, SICA, City of Salamanca, University of Salamanca, Embassy of Panama, Embassy of Honduras, Embassy of the Dominican Republic, Embassy of Costa Rica, AWS, ASCRI, Swamlaab, AXIS-ICO, Axon Partners Group, Innoenergy, BQ, IE Business School, Enagás emprende, Sociosinversores.com, Wooniver, Santalucia Seguros, Mutua, TheVentureCity, El Economista, RTVE, Gestiona Radio, El referente, ICEX, ICEX-Invest in Spain, Madrid and Córdoba City Councils and the Russian Embassy, among others, and will present an agenda in which will announce the innovations of what will be the fifth edition of Startup Olé. The agenda will also include the first meeting of the Advisory Committee with the presence of Agencia EFE President, Fernando Garea, the Ambassador of Panama, Milton Cohen, the general Director of Ascri, José Zudaire, the Rector of the University of Salamanca, Ricardo Rivero and the president of BQ, Rodrigo del Prado, among others. After that the launch of the EFE emprende awards will take place, followed by four roundtables addressing several issues within the context of the international entrepreneurship and in which the participants will be: Ian Noel (investor), José Zudaire (Managing Director of Ascri), Jaime Gil Delgado (Investment analyst, Swamlaab), Patricia Casado (creator of #SoyInversora), Javier Martínez de Irujo (Director at AXON Partners Group), Ignacio Huici (Business development manager, Innoenergy) Rodrigo del Prado (deputy general Director of BQ), Joe Haslam (executive Director, Scaleup Program IE Business School), Fernando Levy (director of Enagás Emprede) Javier Villaseca (CEO of Sociosinversores.com) Antonio Cantalapiedra (founder of Wooniver and ExCEO Mytaxi) Angel Manuel Uzquiza González (Director of innovation at Santa Lucia Immpulsa), Andrés Dulanto (Director of digital contents of the Agencia EFE and EFEemprende), Begoña Ortega (Gestion empresarial, elEconomista.es), Esteban mayoral (Head of the management unit of the Center for Innovation RTVE-Impulse vision), Maria Jose Bosch (journalist, Gestiona Radio), José Torrego (founder of El referente) Milton Cohen-Henríquez Sasso, Ambassador of Panama in Spain, Eduardo Sanchez (Director of programs for the Innovation, ICEX-Invest in Spain and Javier Alonso (head of the Innovation department at Madrid City Council) among others. 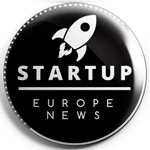 As part of its dissemination strategy, the Startup OLÉ organization will also hold several launching events across various European cities, which will serve to advertise the main event and will allow attendees to begin to develop ways of collaboration that will later be able to reinforce during the main event in March 2019. Among the launching events are Mostar, Bosnia and Herzegovina (November the 8th), London (7th of December) and Brussels (14th of December). It will also be presented in Berlin and El Salvador during the month of January 2019. All information about Startup Olé and its launching events will be available on its website startupole.eu. The official Startup OLÉ 2019 presentation will also be a great opportunity for attendees and collaborators to do networking, develop synergies and explore ways of collaboration for the near future.